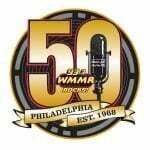 WMMR was honored with a resolution from the Philadelphia City Council to commemorate WMMR’s 50th Birthday. We broadcast live from City Hall as Councilman David Oh presented the resolution. Pierre Robert and many others from the MMR staff were in attendance for this historic occasion. Check out video and photos from the broadcast below. Pierre Robert For Mayor!